There’s so many quilts to be sewn! I have the next 4 quilts all planned in my head, with three of them cut out and ready to go already. 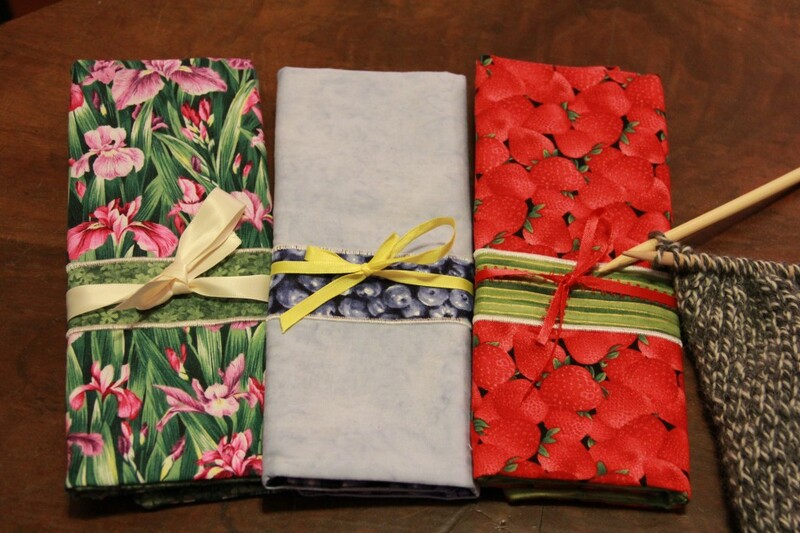 I’ve recently discovered Jelly Rolls and quilting with them. 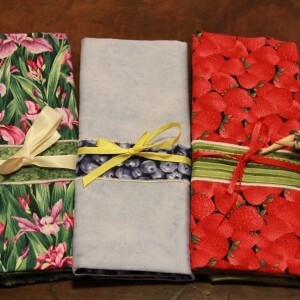 I find it’s a quick and easy way to quilt, and a great way to use up my stash of tiny strips. I am a full-time Mom of two girls 19 months apart, ages 3 and 4. I used to be a HS chemistry teacher-- before Motherhood. 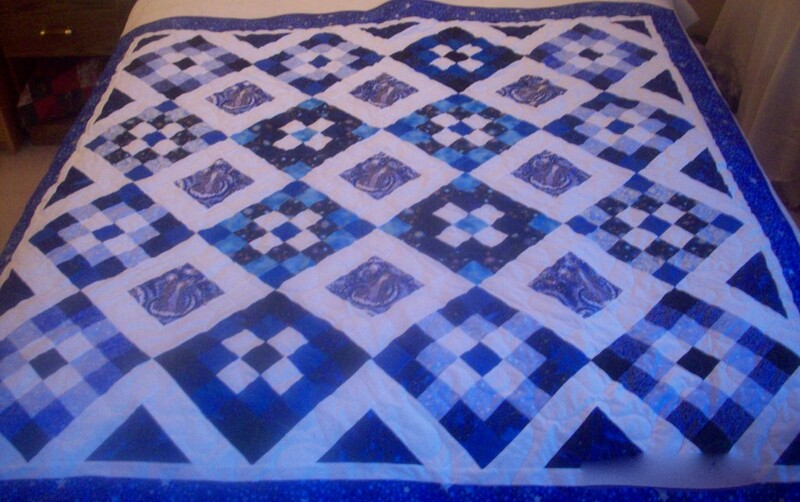 I volunteer by making quilts for abused children (the wizard quilt I made and donated this month) and Amanda quilts for parents that lose a baby (from miscarriage or still born babies). In my dreams, I would always eat dessert first! 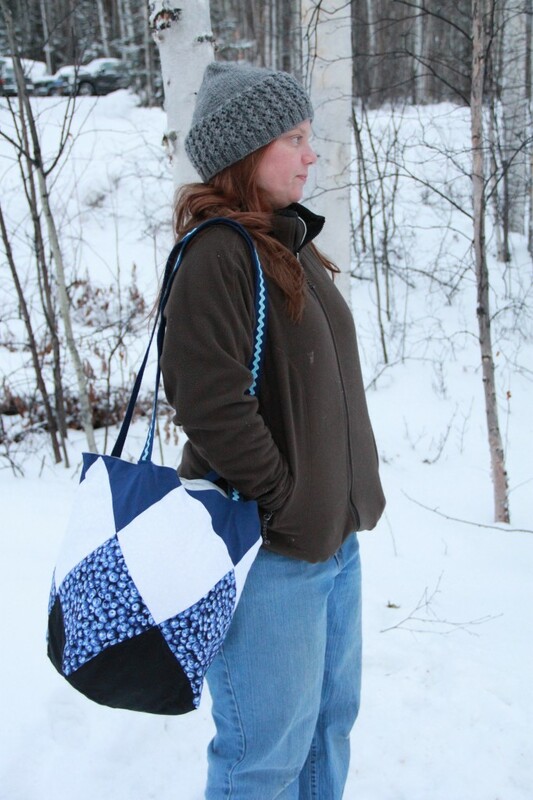 A friend in college came from a long line of quilters. So I started a club with her and some other friends. My friend was a traditional quilter, so I made 9-patches by cutting out squares! How Barbaric! I was ready to quit when some older ladies from my work explained the modern miracle of strip quilting! I've been hooked ever since. 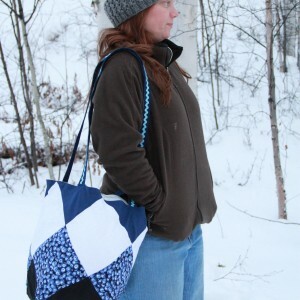 My favorite part is to choose colors for quilts. I love to have strong contrast or to blend perfectly. Not much middle ground for me. Nature: you see such wonderful combinations of colors in nature. I see the beauty of God in everything that I see. 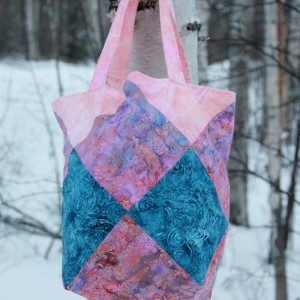 This translates into luscious colors in my quilts and bags. I just finished making an Asian lap quilt. I won an Asian fat-quarter bundle at a Christmas gift exchange. I found a pattern that had huge squares (12") and I knew that it was perfect to display the beauty of the Asian fabrics. Also, this weekend I was embroidering kitchen towels to sell on Etsy. Very cute! 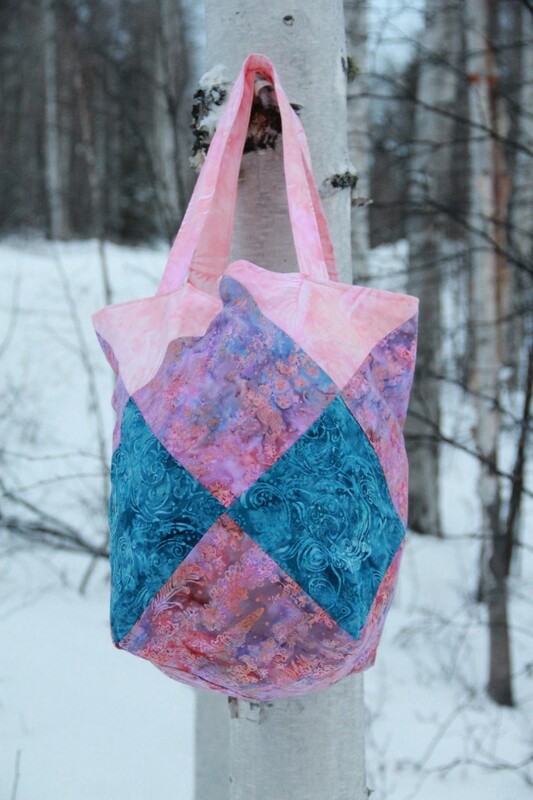 I sell my crafts locally at the Fireweed Boutique and at local bazaars. I sell on-line at Etsy. I have done better in person, but I'm not really talented with pictures yet, so I'm sure that will improve. I find that I really need a creative outlet and something that is entirely "mine". 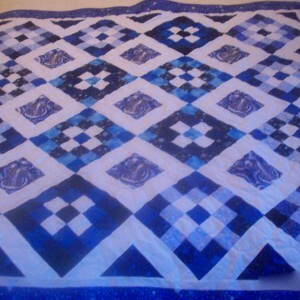 When I quilt, or sew, I feel very peaceful. It is a zen-like place for me. I choose handmade because I am an artist and I appreciate art in others. Handmade is less "perfect" than mass-produced things, but it has more character. I have heard an Amish quote that I really like, "Only God is perfect" so traditionally, the Amish make one mistake in each quilt. I find that delightful and very freeing of the quest for perfection.